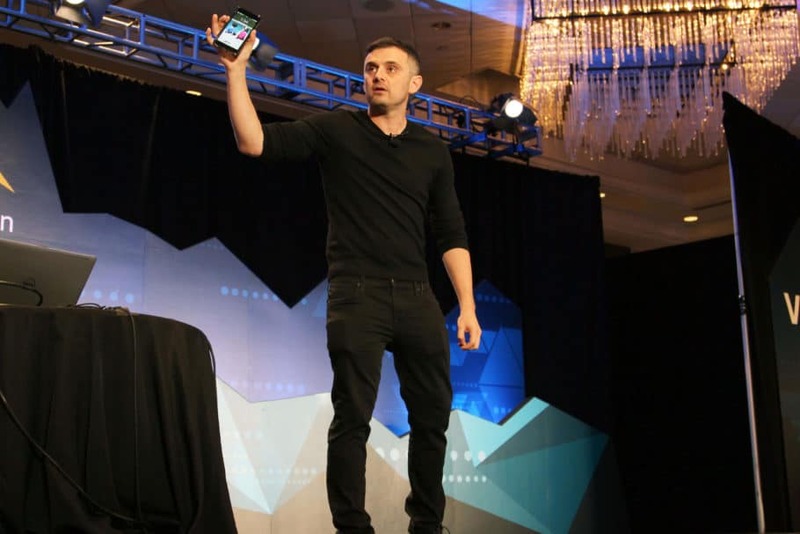 Gary Vaynerchuk gets paid $80,000+ to give a keynote address. He typically tells his story for 20-30 minutes, then opens it up to questions. Not a bad way to make a living, eh? Of course it’s not quite that easy–Gary has spent decades hustling, working hard, working smart, and has created multiple successful businesses, has multiple best selling books, and has proven himself in the marketplace. He’s got 30 years of entrepreneurship to back up what he says. He’s not paid merely for the performance he delivers, but for everything he did beforehand to be able to give that performance. 1. You want to speak. You may not feel like you’re an expert at public speaking–maybe you think you’re downright terrible at it. Maybe it makes you nervous and anxious just to think about standing in front of a group and talking to them. But if you have the desire to speak, that’s the first sign that there may be a great public speaker inside of you. The technical details of speaking can be taught and learned, but the desire to do it has to come from within you. 2. You get positive, unsolicited feedback from strangers when you speak. Your mom has to tell you that you did a good job speaking. She might be right, but unsolicited praise from strangers who have nothing to gain or lose by complimenting you is more trustworthy. What happened the last time you gave a presentation, taught a class, or spoke to a group? Did people come up and give you praise that went beyond the normal politeness? That may be a sign that you’ve got some natural, raw talent. I’m not referring to your job title, but your nature. There are plenty of teachers, coaches, and professors who lack the heart of a teacher, and there are architects, writers, salespeople, and taxi drivers who are teachers at their core. Do you have the heart of a teacher? Do you enjoy sharing what you know for the simple joy of helping others? Part of being successful as a speaker is focusing on your audience, rather than yourself, and those who are natural teachers tend to have this ability. As with the previous point, this is less about what you put on your resume and more about how you live and who you are as a person. An entrepreneur is someone who moves a resource from an area of lower utility to an area of higher utility. Entrepreneurs improve themselves and their surroundings. Some people do only what they’re asked to do, and there’s nothing wrong with that (as an employer I really appreciate people who simply do what they’re supposed to do), but there are others who are always asking themselves “What else can I do? How much farther can I take this?” If you are always looking to do more, to make things better, then you may be drawn to public speaking because it is one of the most effective ways to improve yourself and those you have the chance to influence. 5. You like to write. Do you write long emails? Have you written a book? Do you blog? If you naturally produce a lot of written content, or you enjoy writing, it’s a good sign you may be a great public speaker. Speaking is the audible version of writing. In many ways it’s the same thing, but delivered in a different way. If you enjoy writing, you will enjoy public speaking, although it may require working through some of the technical aspects in which writing and speaking differ. Successful public speaking, like any form of communication, relies on the speaker understanding the audience. Have you ever heard a speaker deliver and talk and you thought “This guy has no clue who he’s talking to or what they care about.” Great public speakers have empathy for others. They feel what others feel and understand their needs and wants and therefore they can speak the words that will connect with the audience. 7. You have a way with words. This is not to say that you have a large vocabulary or know fancy words. It means you know what words will produce the thoughts you want your audience to have. Often this means using simple words anyone can understand. The goal is not to make people notice your vocabulary, but make your words invisible. If you feel like you often know the right words to use to get your idea across, then that’s a sign you have potential to be a great speaker. These signs don’t necessarily mean you will be a great public speaker, but they are signs you may have what it takes. You want to make easy money. Public speaking is not easy and a lot of public speakers, even good ones, don’t make much money. Those that do make a lot of money speaking often make that much money because they’ve already made money in other ways and they’re getting paid to tell others how they did it. You want to be famous. This is self-focused, and chances are if you’re this focused on yourself you’re going to lack empathy and fail to connect with your audience. Most people who do have the instinct [for making deals] will never recognize that they do, because they don’t have the courage or the good fortune to discover their potential. Somewhere out there are a few men with more innate talent at golf than Jack Nicklaus, or women with greater ability at tennis than Chris Evert or Martina Navratilova, but they will never lift a club or swing a racket and therefore will never find how great they could have been. Instead, they’ll be content to sit and watch stars perform on television. You might be a great potential speaker, but you will never know unless you try. You might think you’re not a natural speaker, but if any of the above signs match you, perhaps you should look into public speaking. It might be your calling. Are there other signs that someone may be a great public speaker? Are there other bad reasons to be a public speaker? Let me know in the comments below. Get paid to speak. Land a book deal. Build your email list. Become an influencer. Subscribe now.